Many of our residents come to Watermoor H ouse for respite and short term care whilst their carers or families are on holiday or needing to take a break. 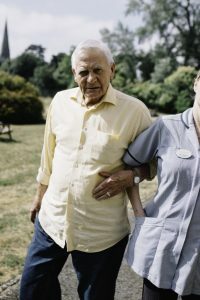 This allows both the carers and the resident to relax, knowing that our staff are on hand to help with all aspects of their daily life, including personal care and medication. We find that many of our respite residents particularly benefit from the daily social interaction with staff and other residents, and from the daily programme of engaging activities which they may not experience when being cared for at home on their own.